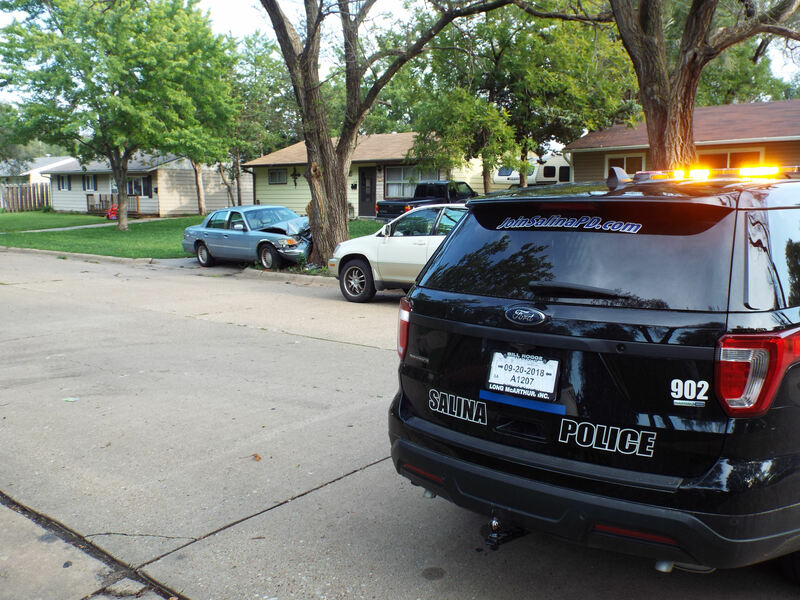 Salina Police on Friday released the name of a woman who was injured after crashing into a tree in the 1400 block of Pawnee Thursday afternoon. Police say 55-year-old Ladonna Carr was transported to Salina Regional Health Center in critical condition after her vehicle jumped a curb and traveled through six front yards, striking a tree at 1435 Pawnee. Sergeant Brent Rupert tells KSAL News that investigators believe alcohol or drugs played a role in the crash that happened about 3:50pm Friday. Carr was the lone occupant in the vehicle and no one in the neighborhood was hurt. A driver was badly injured in a single-vehicle crash in a west Salina neighborhood late Thursday afternoon. Salina Police told KSAL News at the scene the crash involved a single vehicle. A passenger car headed west in the 1400 block of Pawnee veered out of control. The car went over a curb, through a yard, and crashed head-on into a large tree. The driver, the only occupant of the vehicle, was transported by EMS to Salina Regional Health Center with serious injuries. Her name was not immediately released at the scene. A portion of the street was closed in both directions for several hours while police traffic specialists mapped the scene. The crash happened at around 4:00 Thursday afternoon, in the Indian Village area of west Salina in front of a home at 1431 Pawnee. A portion of the street was closed in both directions for several hours.